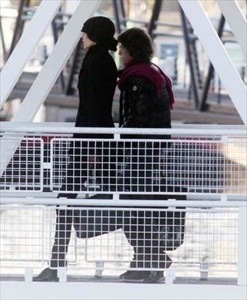 CAPTION: Scott and Jagger were last photographed together in Feb. 2014. The Rolling Stones took off from Perth Airport Thursday, bound for Abu Dhabi – after canceling a set of shows in Australia and New Zealand following the shocking suicide of lead singer Mick Jagger friend of 13 years, designer L’Wren Scott. But Jagger – whose been in hiding since Monday was not spotted boarding the flight. It’s unclear whether Jagger will fly to New York City to help tend to Scott’s affairs. Friends and family are still puzzled on Scott’s apparent depression and demise. “Mick had recently decided to end his hotel lifestyle, and I understand they had just bought a $10 million home in New York,” Rob Shane, the husband of Scott’s sister Jan, told the Daily News on Wednesday. 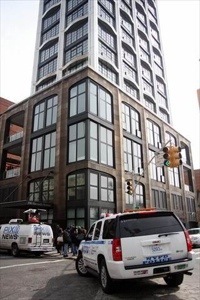 And the $1.25 million that Scott owed on her $5.6 million Chelsea apartment where she lived — and where she hanged herself Monday — had been paid off. It is believed that her body would be taken to the Frank E. Campbell Funeral Home on Madison Ave., which has been the site of many celebrity wakes, including last month’s rites for actor Philip Seymour Hoffman. However, the facility says they have yet to hear from anyone. CAPTION: Scott’s NYC apartment where she was found. IN CASE YOU MISSED IT! 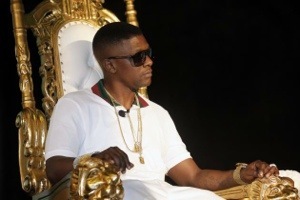 Lil Boosie’s Home! WATCH THE PRESS CONFERENCE! 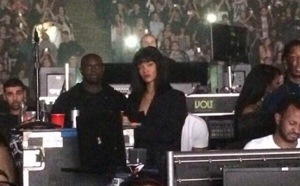 CAPTION: Drizzy and RiRi were fully aware of cameras flashing around them while they cuddled and even kissed after his Manchester show. Sources say she spent the night with him at an area hotel. In this recent interview, Juicy J speaks on a plethora of topics like working with pop queens Katy Perry and Miley Cyrus. Juicy says he’s a nice, peaceful guy put on this earth to “make music, f*** h***, drink.” Lol, mission accomplished! Rapper Young Jeezy has been arrested in Alpharetta, Georgia and charged with obstruction for allegedly cursing at officers and refusing to provide his name. Police are not giving too many details about the incident, but CNN affiliate WSB that police arrived at an Alpharetta townhouse because of a security alarm, but no one answered the door. Police saw Jeezy walking out the back of the townhouse, and the rapper allegedly said the townhouse was his girlfriend’s home. Jeezy, born Jay Wayne Jenkins, reportedly refused to give his name to police, and instead cursed at them. 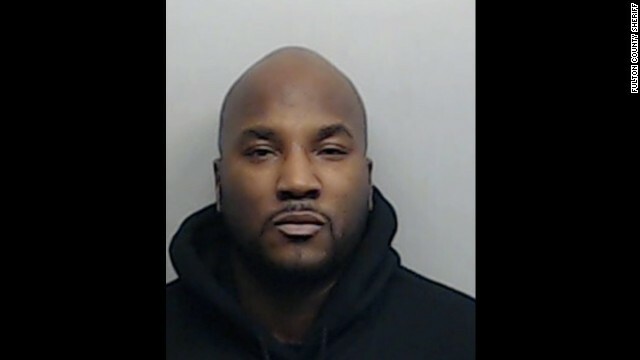 This is Jeezy’s second arrest this month. On Jan. 3, he turned himself in for allegedly beating up and threatening to kill his teenage son. According to the son, Jeezy “walked into the bathroom where he was and slammed his head against the sliding shower door,” then “picked him up and threw him into the wall in the bedroom,” a police report said. When the teen tried to run downstairs and away, he was blocked by his father’s bodyguard, the report said. Jeezy then “pulled him back into the room, threw him on the bed, choked him and stated, ‘I’ll kill you,” the son told police. He allegedly threw him against a wall and onto the floor before kicking him in the head. “The juvenile stated his father stated to him ‘I’ll put a bullet in your head right now,'” the report said. The boy’s mother called authorities when he returned home the next day, claiming he had bruises and scratches on his face. Jeezy was later released on $45,000 bond. Three 6 Mafia member, Lord Infamous was found dead last night (Dec. 20, 2013) at his mother’s home in Memphis Tennessee, said the group’s publicist, Dove Clark. Infamous was a founding member of the Grammy Award winning group. The cause of his death is unknown at this time. Miley opened up about all the topics everyone wants to know about. She said she realized that she was too young to be engaged (to Liam Hemsworth.) But she did like rocking a fat ring. We really liked Miley’s choice of wardrobe. BOO-HOO! Demi Lovato is Leaving X-Factor! Kelly, Demi and Paulina pose yesterday at the taping of the season finale. BTW, doesnt Kelly look gorgeous? Tonight, the season finale of X Factor, is Demi’s last time in the voting seat. The singer is leaving to pursue her singing career and touring. We’re sooo sad about Demi leaving. We thing she’s the best out of the judges. We’ll miss that awesome turquoise/blue hair too! It’s also rumored that Simon Cowell is leaving the judging seat to go back behind the scenes. So does this mean he’ll replace Kelly Rowland and Paulina Rubio. Lamar Odom is Confiding in his Baby Mama Liza Morales! Lamar is planning on spending the holidays with his two children in New York City, which is a great idea considering he hasn’t seen his kids in several months. The kids used to visit Lamar and Khloe all the time, until the trouble started brewing. It doesn’t look like Lamar and Liza are getting back together, although they were together for ten years. At Home With Mariah Carey for the Holidays: Her Kitchen, Living Room and Gorgeous Tree!